Before I forget, my wife is taken me out for rest and relaxation tomorrow morning so I will be shutting down the office until Thursday so no Daily. I’ll see you then. I don’t know about you but I am a little tired of all the negativism that seems to abound these days. I run into more and more people who are quick to blame everyone else but themselves for all of today’s problems. 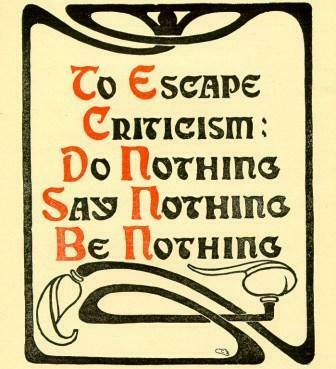 I use to let excessive criticism of my activities get me down, but that was a long time ago. Unfortunately though many people lose confidence and even suffer from what sometimes is almost cruel derision from others. In todays polarized society it seems that more and more folks think it is cute to heap ridicule and scorn on others. For some, facts and accuracy are not as important as their belief that points are scored by the amount of disdain they can heap on others. Trust me; many people are hurt deeply even when they know that they are the victims of false or half-truths spread by others. Regrettably the rest of us often stand mute for fear of retaliation by the screamers. Me, I long for the civility of the past, the days when we tried to criticize constructively. I know from growing up in Chicago that it was not a bed of roses, but the impolite were the thugs and bullies, not neighbors and fellow workers. Maybe I just see more of it these days because I am out and about. Possibly fear has driven some otherwise good people over into thoughtless behavior while others just stand quietly by and let the tirades flow. If you give in to the disapproval of others, you’ll simply encourage them to disapprove even more. If you fight against their disapproval, that will also cause their disapproval to grow stronger. Your most effective response is to gently accept the disapproval, then let it go and move forward. That strategy will dilute and dispense with the resistance you encounter faster than anything else. Stop needing the approval of others, and you’ll receive more approval and support than ever. Live each moment from your own inspiration, not from your desire to look good in the eyes of others. You can be exceptionally kind, loving, giving and respectful without being a slave to the opinions of others. Accept that other people will disapprove of some things you do, and you’ll free yourself to do truly magnificent things. Your great value does not derive from the approval of others. You are entirely worthy and able to give much to life, regardless of what anyone else may think. Graciously and enthusiastically accept that others will disapprove, no matter what you do. And delight in the freedom of doing whatever you know is right for you. A motivational sign at work: The beatings will continue until morale improves. The witness stared out the window as though he hadn’t hear the question. “Isn’t it true that you accepted five thousand dollars to compromise this case?” the lawyer repeated. It has been great to get out this past week, I have been full of reasonable pep up to almost 10 AM and then I hear the siren song of my bed calling me home to nap. Unfortunately this has resulted in my missing one afternoon meeting as I never woke up to attend on Wednesday and then yesterday I had to cancel my participation in an important board meeting due to a combination of fatigue and temporary brain power loss. I have more tests and evaluations scheduled over the next three weeks I am depending on the process getting me back to where I was not that long ago. If that doesn’t work I am going to have to try to convince my wife to quit putting sleeping potion into my food. One thing I have found over the last month or so is just how effective my relaxation techniques really are. 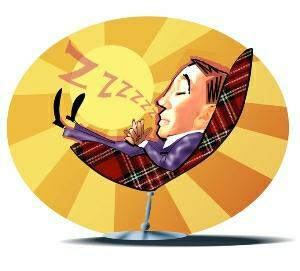 I have even become so proficient in my ability to instantly relax (snooze), I can now sit, recline or lay down knowing that my relaxation skills will almost immediately take me to dreamland. I have been surprised to find how many of you hang out there; but don’t worry I promise I will never tell anyone about how you have behaved while there. Of course my goal now is to relax less, exercise more and fulfill my obligations. For those of you who are not as prone to instant relaxation as I am I thought you might be interested in these helpful tips. I don’t know who wrote them but they sound good to me. Take a Warm Bath − Soaking in a tub full of warm water can work wonders when you’re feeling stressed. The warm water relaxes you physically, loosening tight, stiff muscles. And, as a result, you relax mentally as well. Read a Good Book − One of the best ways to deal with a stressful situation, especially if the stress is caused by something you have no control over, is to not think about it. And one of the easiest ways to get your mind off things that are bothering you is to read a good book. Listen to Some Music − It’s a proven fact that soothing music can be relaxing. The type of music you choose is entirely up to you. Buy a CD or cassette featuring soft, modern ballads, gentle classics, smooth jazz, or New Age music. When you feel stressed, pop the music into the player and let the music carry you away. Take a Deep Breath Something as simple as taking a couple of deep breaths can work wonders. So, the next time you feel stressed, take a few slow, deep breaths. And, if you can, add a full body stretch. Stretching and yawning are also relaxing. Try Visualization − The next time you are feeling stressed, take a moment to close your eyes and imagine that you are somewhere more relaxing, like on a beach. Imagine that you can feel the cool breeze against your skin, and hear the ocean waves. Spend Time Outdoors − Sunlight and fresh air have remarkable abilities to heal our spirit. 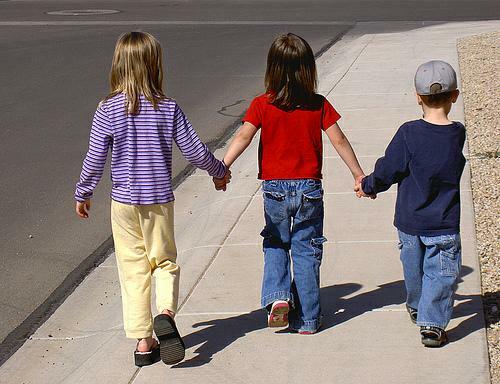 Often something just as simple as taking a short walk around the block can help reset our priorities. I mentioned yesterday that I had the good fortune to see Tony Bennett in concert the other day and to say the least I was amazed by the show. His daughter, also a singer was the opening act and did a couple of duets with her dad. They were accompanied by a fantastic quartet, a pianist, a guitarist, a Bass player and a drummer; they were some of the finest instrumentalists I have ever heard. While we were in a large, world class concert hall they conveyed the feeling that we were part of an intimate lounge show. What was amazing was Bennett himself, he is 85 years old and yet is still a world class performer. He still has the capacity to make the high notes and did an unbelievable job while performing many of the great songs from the past. The combination of his stage presence, his personality and his still wonderful singing ability made it one of the most memorable performances I have ever experienced. He also shared a number of memories of his earlier years and the many close friends he had in the business. There was a standing ovation that only slowed after about seven curtain calls. I don’t know if he has sipped from the fountain of youth but I do know that he proved that there are many good years still out there if you choose to keep on living life to the fullest. Maybe that is one of the reasons that I seem to be getting back on track. Acknowledge and express your feelings. You may have a hard time showing strong emotions, perhaps feeling that such a display is inappropriate and weak. But burying your feelings can lead to anger, resentment, and depression. Don’t deny what you’re going through. Find healthy ways to process your feelings, perhaps by talking with a close friend or writing in a journal. Take daily action to deal with life’s challenges. When challenges seem too big to handle, sweeping them under the carpet often appears easier. But ignoring the problem doesn’t make it go away; it allows both the problem and your anxiety to build. Instead, take things one small step at a time. Even a small step can go a long way to boosting your confidence and reminding you that you are not powerless. Father Time is not always a hard parent, and, though he tarries for none of his children, often lays his hand lightly upon those who have used him well; making them old men and women inexorably enough, but leaving their hearts and spirits young and in full vigour. With such people the grey head is but the impression of the old fellow’s hand in giving them his blessing, and every wrinkle but a notch in the quiet calendar of a well-spent life. Q: What do you instantly know when you see a well-dressed husband? A: His wife is good at choosing his clothes. Stan was having problems in English class, so his teacher decided to stop by on her way home to speak with his parents. When she rang the bell, Stan answered. “I’d like to talk to your mother or father,” she said. When a man opens the door of his car for his wife, you can be sure of one thing : either the car or his wife is new. Sometimes it takes a little work to stay on the bright side. So far it looks like it might cost me almost $2000 not to cruise next month. Also to date it has cost me hundreds of dollars to find out what is not wrong with my health. And recently our life savings have shrunk a bunch as the stock market moves through the current turmoil, but that at least will keep me from purchasing too many additional cruises or trips for a while so I won’t have to pay not to do what I never bought in the first place. But all is not lost, as you have heard me say in the past you can’t have mountains without valleys. While I still have a way to go I feel so much better than I did a week or so ago when I was in the valley and seemed to be digging a deeper hole. I’ll tell you this I am loving sticking my head out now and them these days and enjoying what I see. 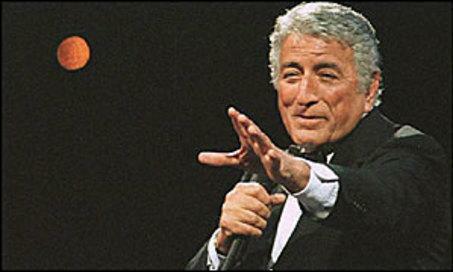 In fact last night I had the good fortune to listen to Tony Bennett sing at our new performing arts center. 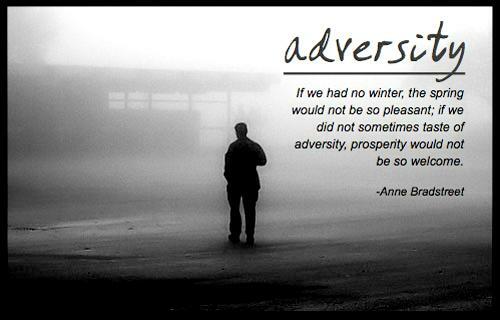 I have again found that adversity rewards us by providing us greater appreciation for what we often overlook. 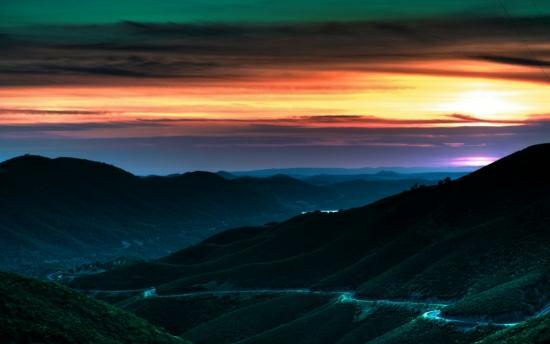 In my experience it is always helpful to know and believe that tomorrow is another day and holds the promise that things may very well be better. I enjoy the wonderful words of wisdom found in the following inspirational poem Promises to Yourself, first published by Christian D. Larson in 1912. Mr. Larson was a writer and a speaker who believed that with a positive attitude people can achieve more than they can imagine. In 1992, Optimist International adopted this creed it is frequently referenced as the Optimist Creed. I find that what he says is a great platform to follow even on the darkest days. I want to go to McDonald’s and think that it’s a four star restaurant. I want to sail sticks across a fresh mud puddle and make ripples with rocks. I want to think M&Ms are better than money because you can eat them. I want to play dodge ball at recess and paint with watercolors in art. I want to lie under a big oak tree and run a lemonade stand with my friends on a hot summer’s day. I am glad I know you! During my recent period of medical challenges I realized the therapeutic value of many things we often take for granted. I again savored the medicinal properties of chicken soup, more than normal bed rest, old movies, frivolous reading and the like. But probably the most effective supplemental medicine has been the messages I received from friends. I again appreciated just how important maintaining a friendship savings account can be. Friends truly enrich our lives, sure they provide warmth and good council but in my case they provide much more. Years ago when I was in the computer industry I loved visiting my hundreds of customers at their workplace for it gave me the opportunity to learn; I saw candy being made, autos being built, books being bound, multi-million dollar financial transactions being made and much more. I recently realized just how the people I meet offer me similar opportunities. I am sincerely interested in everyone I meet, what they like, what they have done, their hobbies, everything. Often, in just a short period of time we become more than just mere acquaintances and too a large extent I think it is because I am more interested in them than I am in promoting myself. I found the story below that I think offers us the key to building true friendships, I like it well enough that I want to share it with you. When I was eight years old and was spending a weekend visiting my Aunt Libby at her home, a middle aged man called one evening and after a polite skirmish with my aunt, he devoted his attention to me. At that time, I happened to be excited about boats; the visitor discussed the subject in a way that seemed to me particularly interesting. After he left, I spoke of him with enthusiasm. “What a man! And how tremendously interested in boats!” My aunt informed me he was a New York businessman and that he cared nothing whatever about boats, took not the slightest interest in the subject. “But why then did he talk all the time about boats?” “Because he is a gentleman. He saw you were interested in boats, and he talked about the things he knew would interest and please you. He made himself agreeable”. I never forgot my aunt’s remark. I truly believe that when we care enough to take a real interest in the people we meet our lives are enhanced by the true friendships that often result. As the coals from our barbecue burned down, our hosts passed out marshmallows and long roasting forks. Just then, two fire trucks roared by, sirens blaring, lights flashing. They stopped at a house right down the block. All twelve of us raced out of the back yard, down the street, where we found the owners of the blazing house standing by helplessly. They glared at us with looks of disgust. Suddenly, we realized why………we were all still holding our roasting forks with marshmallows on them…. Yippee, I got out over the weekend. Saturday I made the Farmers Market and bought a bag of sweet corn fresh from the field. I also picked up some farm made multigrain bread that was outstanding. But the highlight was a short visit with a chef friend where I regularly purchase some of her products; before I left she gave me a good size container of a special crab spread that has been a real treat. She is a reader of the Daily and one of the good things that happened to me this summer was connecting with her. I also got some long delayed shopping done and even had dinner at a favorite restaurant. I’ll tell you I was ready after being grounded for so long. There is more medical work to be done but at least I’m mobile. The heart plumbers and electricians have passed me on. My intestinal plumbing is functioning better than it has been and this afternoon I will see the air handler docs to see if my problems are lung related. We are at the point where we need to see about following the doc’s advice and cancelling our cruise scheduled for next month. It is on the largest ship afloat and requires a lot of walking which I cannot do these days without pain and breathing problems so it would be more of a burden than I am willing to deal with. Of course watching my savings plunge with the market has not been the best therapy either. Don’t get me wrong we are making progress and I am confident the improvements will continue. You are probably tired of all my status reports so I’ll stop and limit the news to positive results. Today you can choose to count your blessings or you can count your troubles. Today you can live each moment or you can put in time. Today you can take action towards your goals or you can procrastinate. Today you can plan for the future or you can regret the past. Today you can learn one new thing or you can stay the same. Today you can seek possibilities or you can overwhelm yourself with the impossible. Today you can continue to move forward or you can quit. 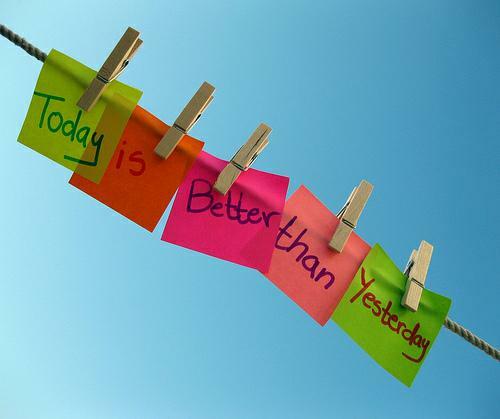 You see today the choices are up to you in deciding what you do today. • Her face was a perfect oval, like a circle that had its two other sides gently compressed by a thigh master. • He spoke with wisdom that can only come from experience, like a guy who went blind because he looked at a solar eclipse without one of those boxes with a pinhole in it and now goes around the country speaking about the dangers of looking at a solar eclipse without one of those boxes with a pinhole in it. • She grew on him like E. coli and he was room temperature Canadian beef. • He was a tall as a six foot three inch tree. • The revelation that his marriage of 30 years had disintegrated because of his wife’s infidelity came as a rude shock, like a surcharge at a formerly surcharge free ATM. • The little boat gently drifted across the pond exactly the way a bowling ball wouldn’t. • McBride fell 12 stories, hitting the pavement like a hefty bag filled with vegetable soup. • From the attic came an unearthly howl. The whole scene had an eerie surreal quality, like when you’re on vacation in another city and Jeopardy comes on at 7 pm instead of 7:30. • Long separated by cruel fate, the star crossed lovers raced across a grassy field toward each other like two freight trains, one having left Cleveland at 6:36 p.m. traveling at 55 mph, the other from Topeka at 4:19 p.m. at a speed of 35 mph. • He fell for her like his heart was a mob informant and she was the east river. • The plan was simple, like my brother-in-law Phil. But unlike Phil, this plan just might work. • “Oh, Jason, take me!” she panted, her breasts heaving like a college freshman on $1-a-beer night. • The Ballerina rose gracefully en pointe and extended one slender leg behind her, like a dog at a fire hydrant. • She was as easy as the TV guide crossword.